Wheel Meet Again have launched a new weekly walking club for spring. Small groups of walkers have been working their way round Liverpool parks, for 30 – 60 minutes walking, usually followed by a coffee and catch up. This week’s walk was at the Wavertree Mystery Park and although it was a small group they had a good chat about where we all grew up and where they like to travel to. The spring weather means Wheel Meet Again are putting more outdoor and active groups on, including a gardening club, which will be returning after Easter. 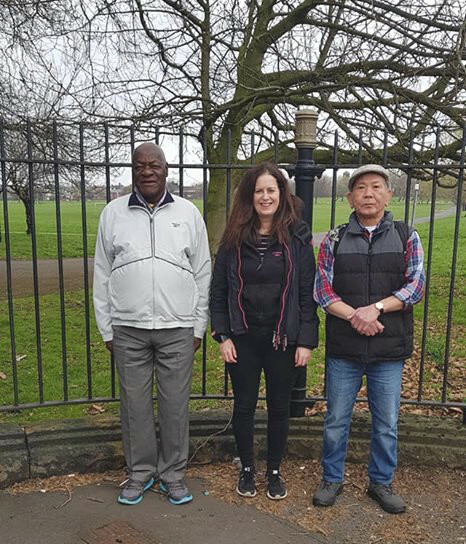 Walking Club takes place on Wednesdays 10am – 12pm (£1 for return bus journey from WMA Garage to the park) and Gardening Club will start fortnightly Tuesdays after Easter at the Adult Learning Centre on Granby Street (time TBC).